SKU: seca222. Categories: Medical, Seca. Specially developed for wall mounting, this measuring rod is aligned to work exactly to the millimeter from head to toe. Its broad measuring slide and heel positioner are professional prerequisites. 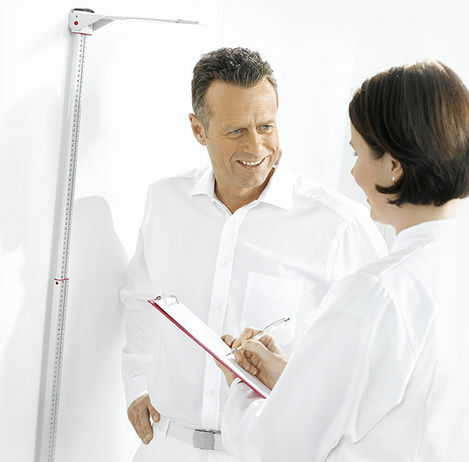 The telescopic measuring rod ensures that the result can be easily read at eye level even for the tallest patient. 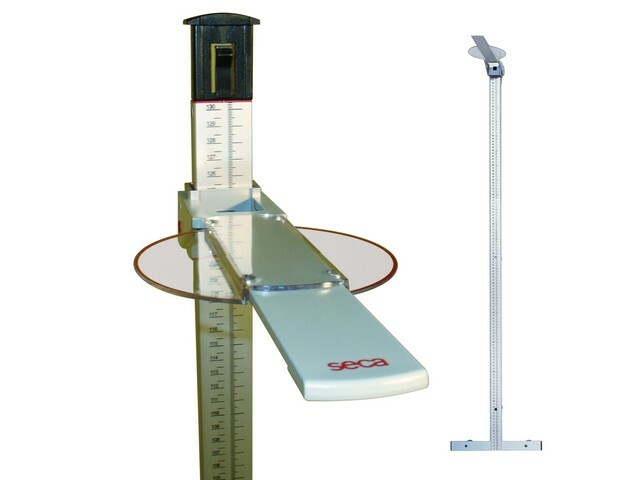 When not in use, the measuring slide can be folded down for safety. Precise data acquisition is the basis of all work with patients. The height measuring rod seca 222 therefore provides permanently reproducible results as it is made of hard-wearing aluminium . The abrasion proof measurement scale of this rod ensures that the result is easy to read in 1 mm increments even after frequent use. Adjusting the smooth-running measuring slides is extremely easy due to the large head positioner. This guarantees identical results again and again. Centimeter for centimeter. The seca 222 is specially designed for wall mounting. 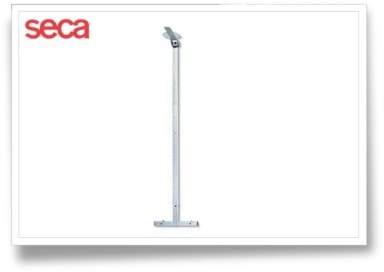 It is the classic seca height rod with a large measuring range of up to 230 cm and an additional heel positioner. Selected by thousands of nurses worldwide due to its accuracy and ease of use. The telescoping function ensures that readings are always at eye level, for accurate readings regardless of the angle from which one looks. The seca 222 comes with an attachable headpiece for accurate head adjustment. 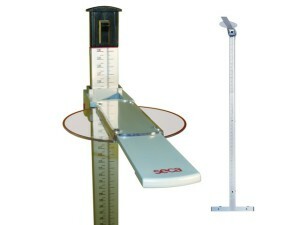 When not in use, the measuring slide can be folded down for safety.